*The final look to 2014, what’s going to go on in the world of entertainment? One thing we promise: there’s not going to be one mention of Kanye or Kim in this column. Well, except for that one. 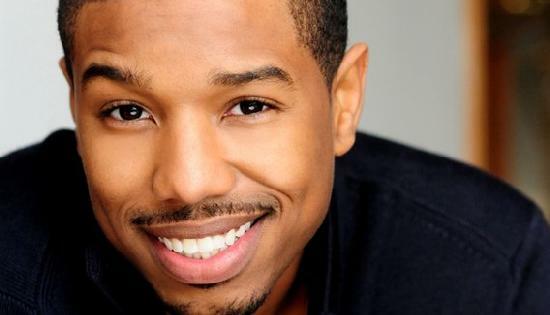 · Michael B. Jordan (pictured) is the Next Big Thing – The “Fruitvale Station” star might not get nominated for an Oscar (he should be) when the noms are opened, but he’s still one of the best up-and-coming actors out there. Look for the rom-com “That Awkward Moment” next year, and – if the rumors are true – a cool role in the new “Star Wars” series, whenever their production starts. · The R. Kelly backlash gets louder and louder – For a great perspective, read Rembert Browne’s excellent column on Grantland. This critical and common rethinking of Kelly is going to be a big narrative throughout 2014. · Netflix is the next great television resource – The service already scored big with the revived “Arrested Development” and the excellent “House of Cards” and “Orange is the New Black.” 2014 will see new seasons of “Cards” and “Orange,” as well as the promising series “Narco” and “Marco Polo.” After that, the Marvel original series start to hit in 2015 (we’re particularly excited about a new “Daredevil”) – and Netflix will be as powerful as any other television source out there. · The final “Hunger Games” is the biggest movie of 2014 – This is kind of a slam-dunk, but the next “Hunger Games” will make oodles and oodles of dough next year, with “X-Men: Days of Future Past” right behind it. Coincidentially, Jennifer Lawrence stars in both pictures. She’s having way, way too much success for a girl who’s not even 30. Not that we’re jealous. · Chadwick Boseman is in the hunt for Best Actor – The up-and-coming actor scored big with the underrated “42” earlier this year, playing the legendary Jackie Robinson. Next year, he’ll start as another icon in “Get on Up,” the James Brown bio-pic. The Academy loves musician biopics (ask Jamie Foxx), and Boseman’s got the talent to stand on the podium in 2015.